On Monday morning I woke up with a severe pain in my neck, so bad that I almost couldn't get out of bed. Jen had kindly done all the laundry for me on Sunday, dragging the Wombats with her to get it done, so that I could enjoy my day on Monday. What ended up happening is that I was just glad I didn't have to lug anything up and down stairs. By Tuesday the pain had subsided quite a bit and I stayed home with the Bubses all day. 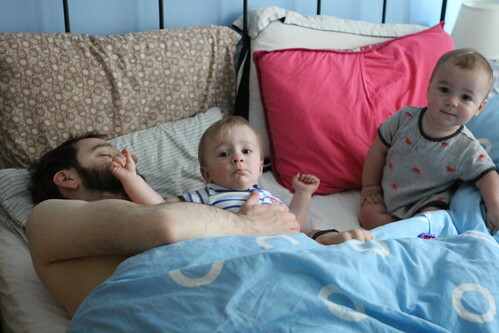 The day started with an early morning wake up call and me wrestling with the Bubses in bed for a while before walking Jen to the train and bidding her farewell for the day. 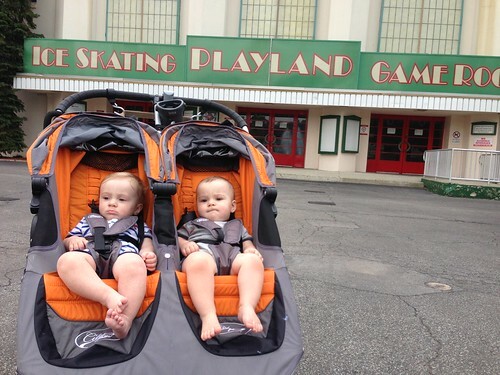 I took the guys on a walk to the beach and to Playland. It was a very cool and breezy day that soon turned extremely humid and stuffy. Then, at our farthest point from home, it began to rain. 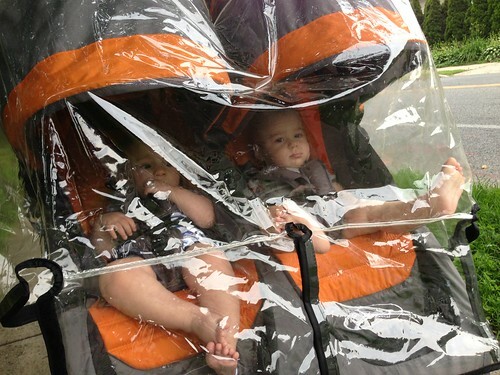 I was able to fish out the rain cover and clumsily rest it over the top of the stroller. Elliott, who doesn't like to be covered by anything, managed to poke a toe through the bottom and stick his foot out the bottom getting it wet with rain water. After getting them home, and to bed, I started off dinner with an Italian theme. 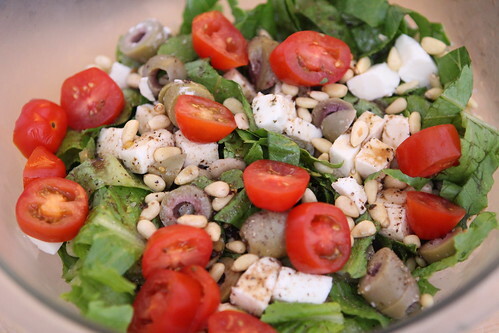 I made this salad with Romaine from the farm, grape tomato, olives, pine nuts, mozzarella, and a balsamic vinagrette. 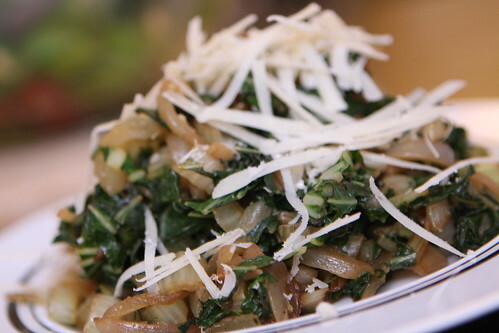 I also made another Italian dish with this classic Italian ingredient from the farm: bok choy! I sauteed it with some olive oil, garlic and onion, then finished it with grated Parmigiano-Reggiano. Since the Wombats have moved on from purees and spoon-feeding we had a little bit of a backup in the freezer. 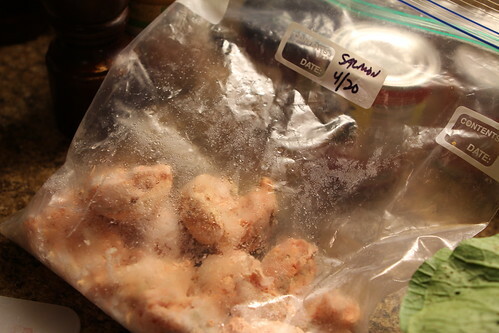 I had all these ice cube-shaped bits of salmon that I needed to use up. 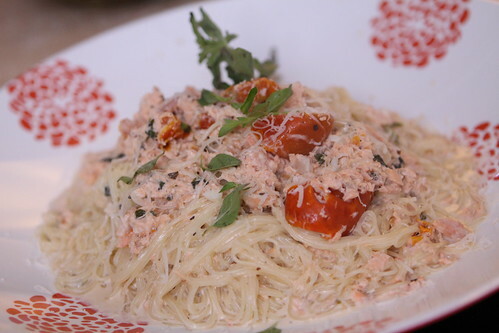 I decided to cook them up with some garlic, onion, olive oil, butter, white wine, cream, oregano, and roasted tomatoes to make this capellini. It ended up turning out really good as a pasta sauce. 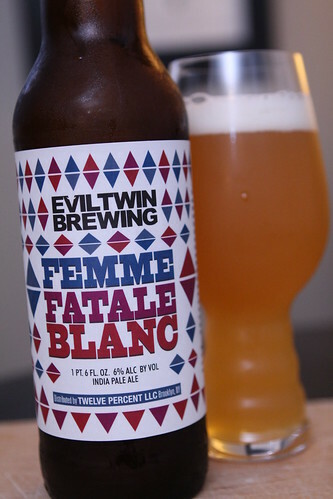 To accompany all this I enjoyed this Femme Fatale Blanc from Evil Twin Brewing, an anniversary gift from Jen. This was a very nice, very light, very refreshing IPA. 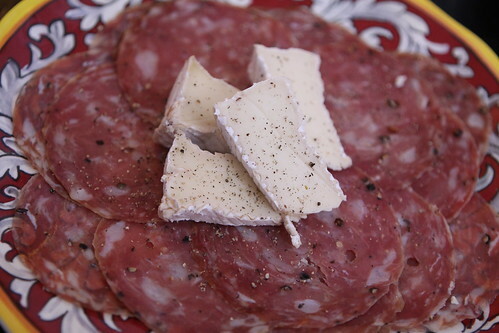 Tonight, after a very easy night of getting the babies to bed, I put together this sweet sopressata plate with Camembert while I waited for Jen to get home from work. 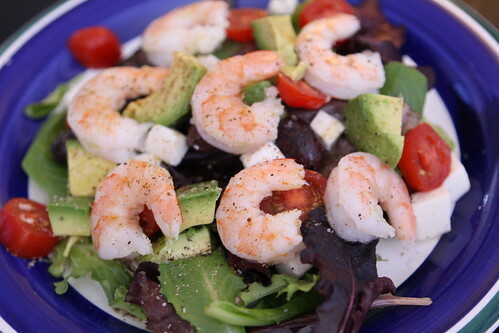 I also made this salad with avocado, shrimp, grape tomatoes, and fresh mozzarella with lemon and olive oil. I put peppadews on my salad as Jen sort of hates peppadews. 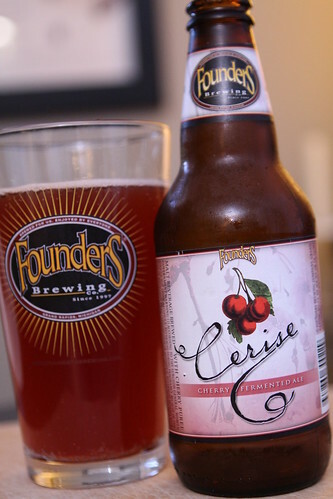 With dinner I had this Cerise from Founders Brewing Company, another gift from Jen. Then I realized that this beer was way too sweet and sour to have with dinner so I put it in the fridge until I could enjoy it as an after dinner substitution for dessert. At the NICU one nurse, also the mother of twins, let us know that just when we think we've figured things out the babies would switch things up on us. She could not have been more right. While weeks ago Elliott would go to sleep with basically no effort, lately he eats has his entire bottle then looks at us wide awake and ready to party. Martin, who used to be such a challenge, falls asleep almost instantly after starting his bottle. So it is that we take things day-to-day and try to enjoy those small slivers of time where we think we have it all figured out. It's best to support the illusion. We totally have nothing figured out. Labels: babies, beer, Cleaning out the freezer, Ethnic, How'd we use it?